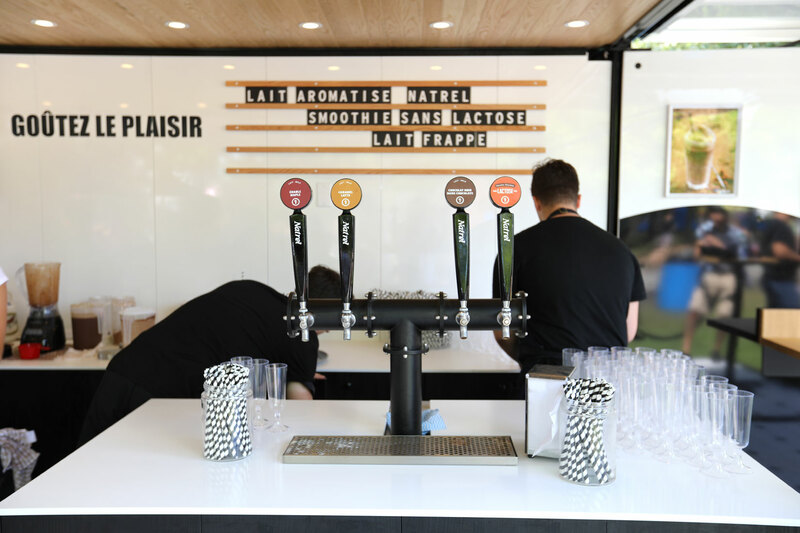 With this LB16 unit, Natrel has its very own pop-up bar, a mobile bistro that serves different flavors of thirst-quenching milk on tap! 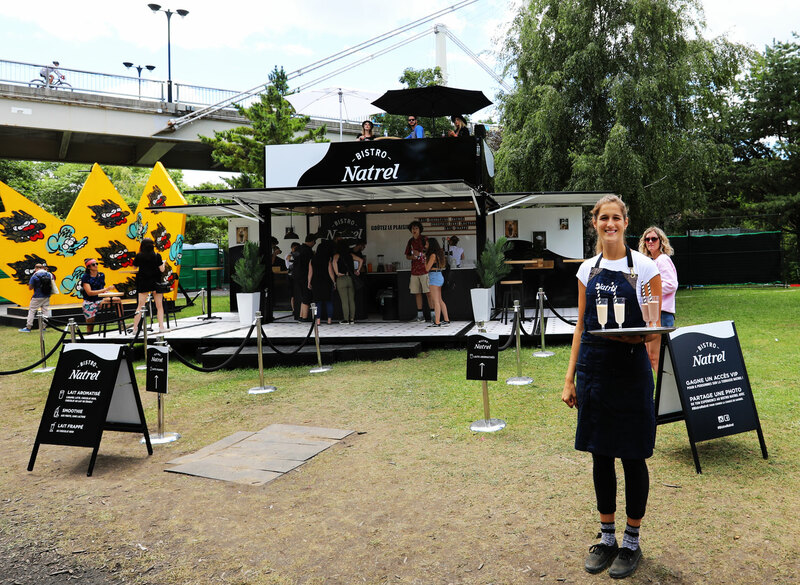 Natrel joined forces with LG2, Production K and Loki Box Design for a truly unique project this summer: a mobile bistro that serves different flavors of thirst-quenching draft milk! 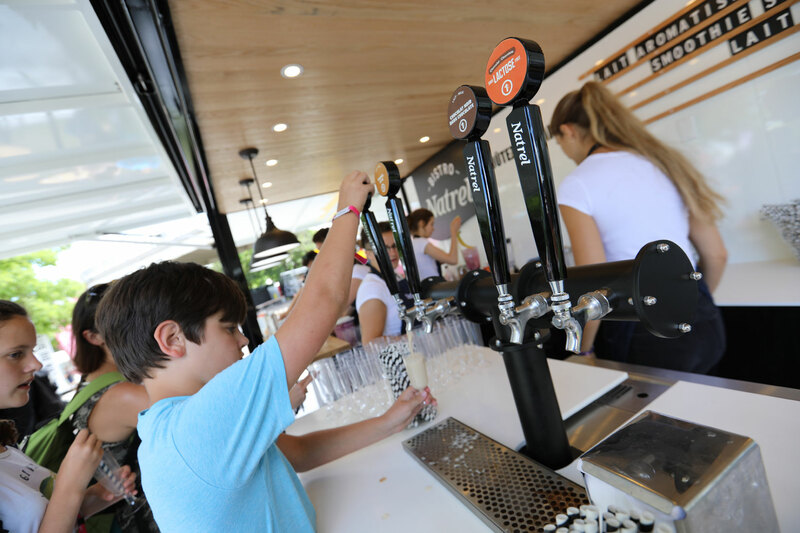 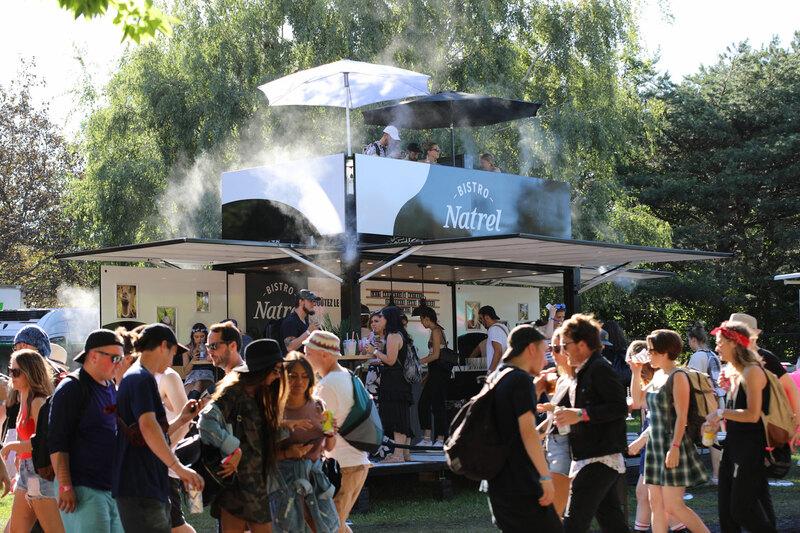 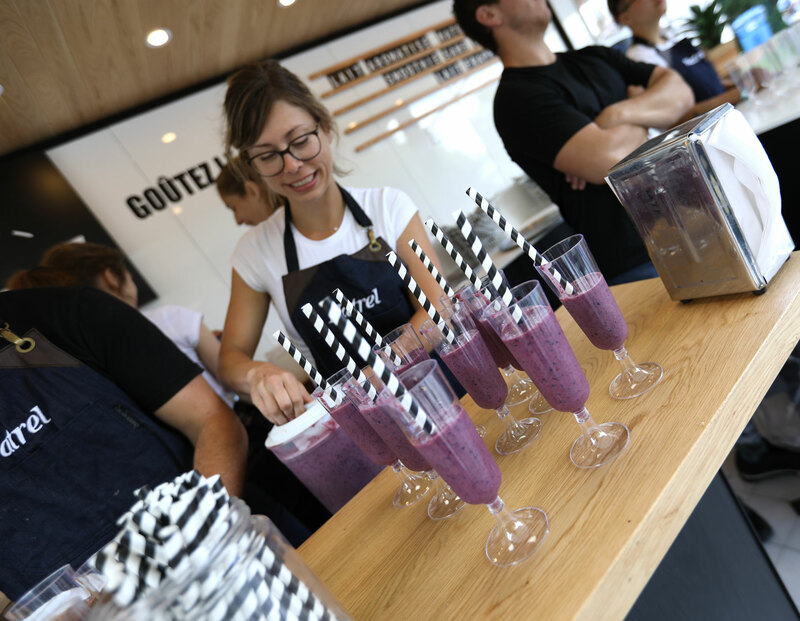 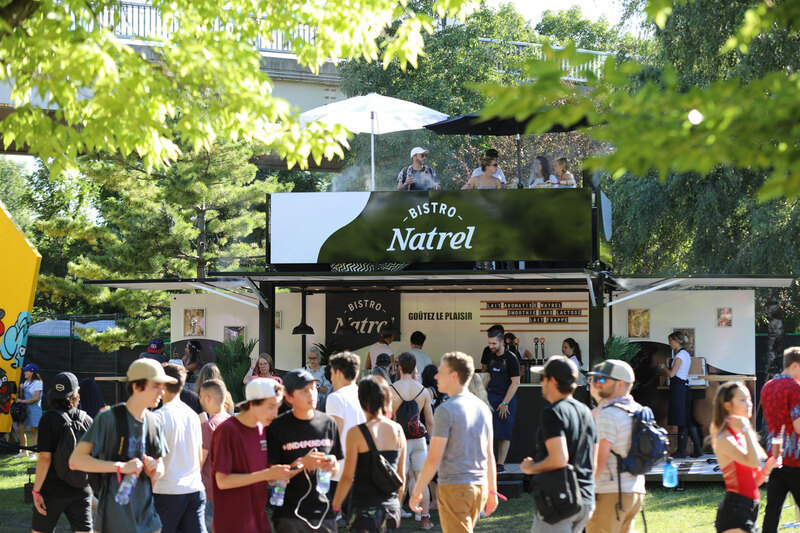 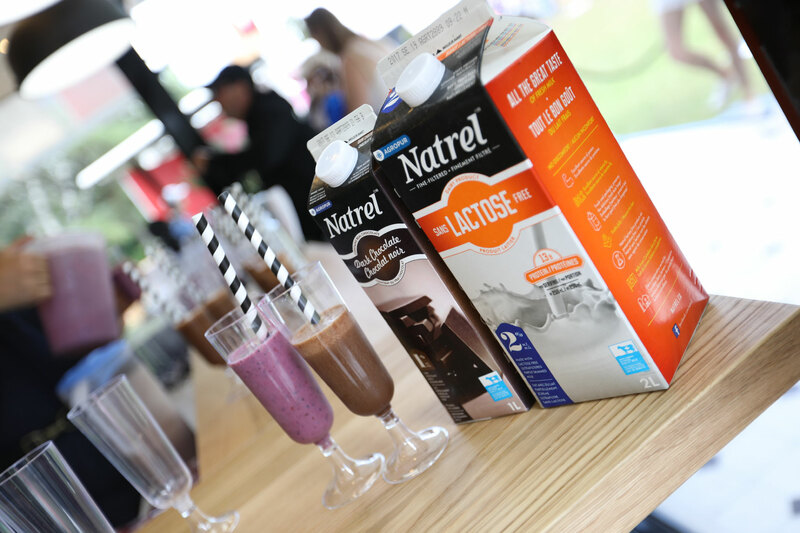 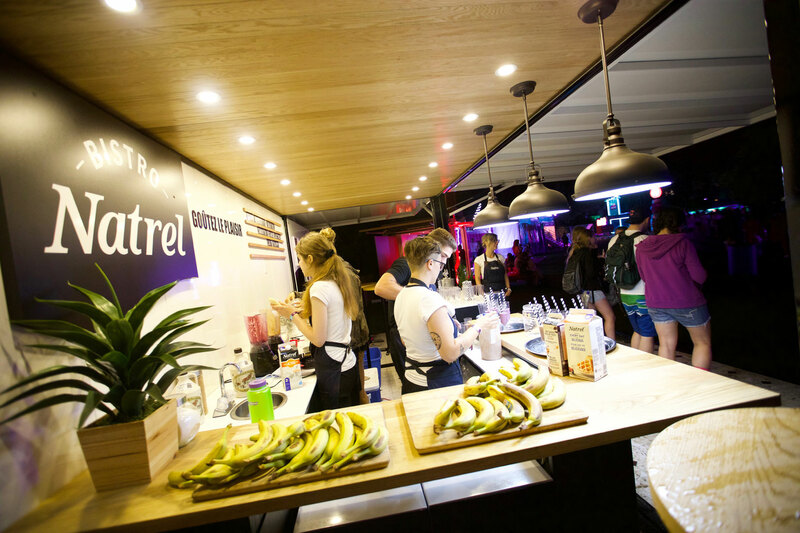 After attracting tons of interest with its milk bar on Queen Street in Toronto, Natrel was pleased to unveil its one-of-a-kind concept for the first time in Quebec at the Osheaga music fest in early August. 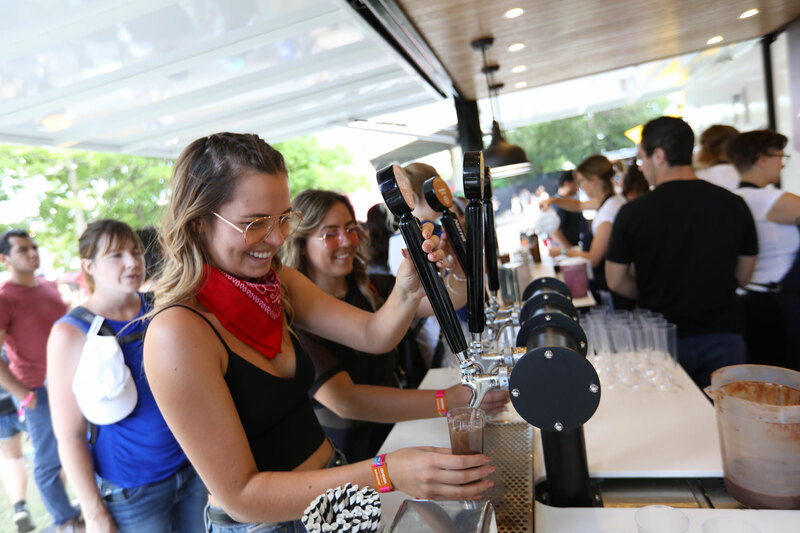 Curious festival attendees got to choose from ice-cold milk chocolate, dark chocolate, maple and caramel latte-flavored milk on tap. 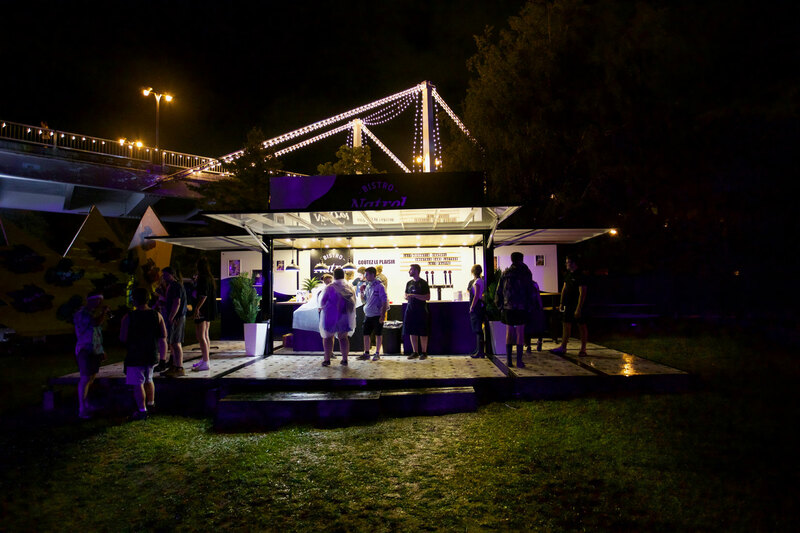 The 24 x 24 sq. 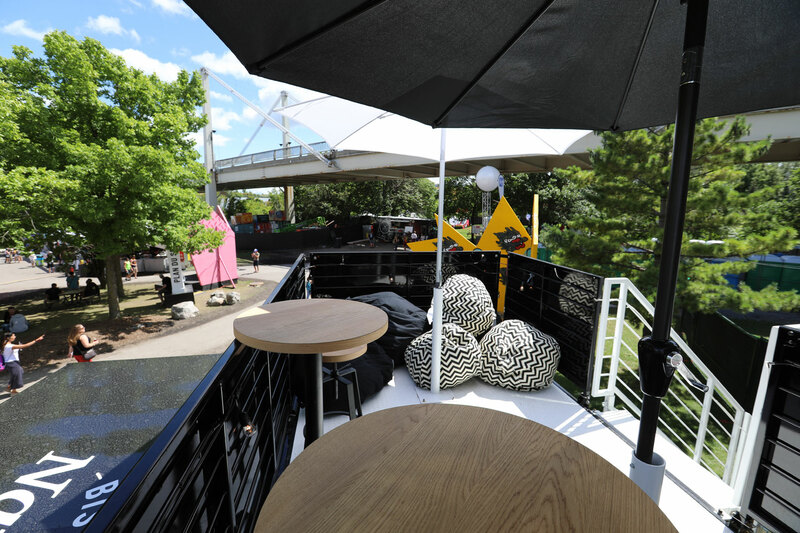 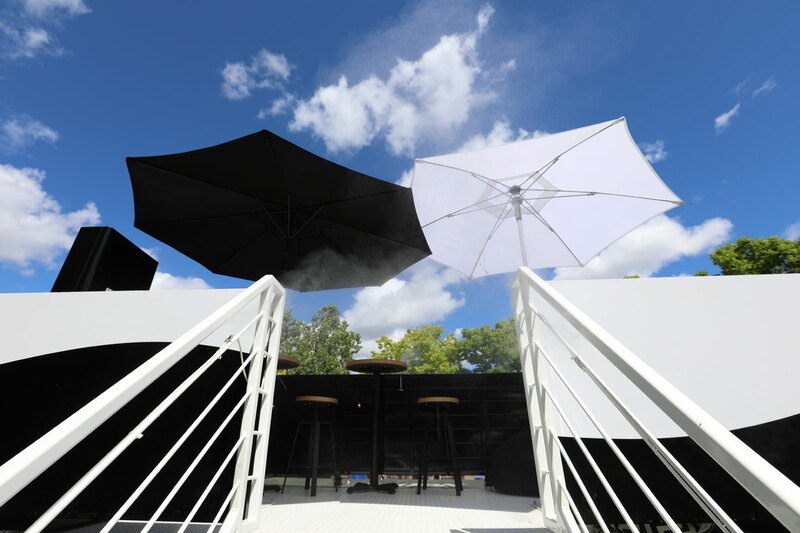 ft. bistro featured an inviting bar, striking black and white polka dot floor and a VIP rooftop deck, which provided a great view of the performances at the popular festival. 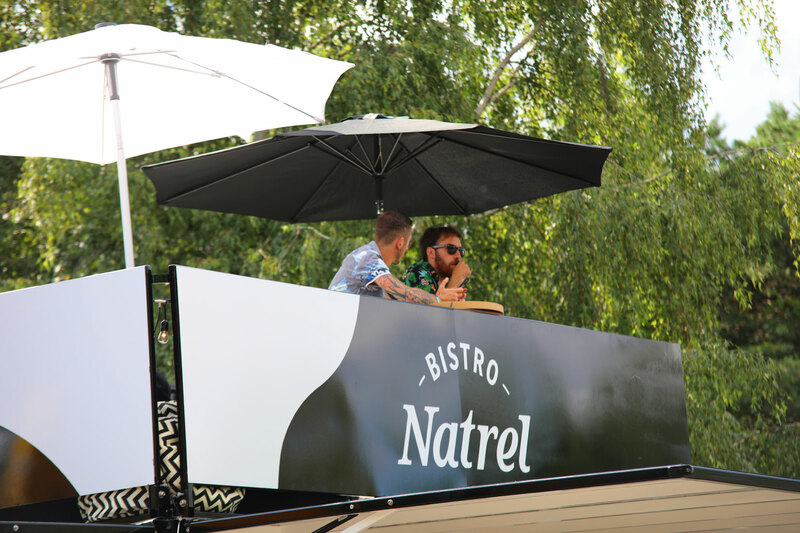 The structure folds down into 16 x 8 x 8, with all the bar stools and decorative elements inside, making it easy to transport to the next event, where it can be set up in a flash, ready to serve Natrel’s delicious products.